Endura has a longstanding, successful history in coating food and beverage packaging and tooling components. From thermoform tooling for flat and rotary production lines, to blow molding and flexible packaging, Endura has the knowledge and experience to provide you with the best quality and most cost-effective coatings. We specialize in solving sticking, wear, friction, and corrosion issues for molds, clamp rings, plug assists, sealing bars, blades, and several other packaging components. Our FDA, USDA and NSF approved coatings provide the latest non-stick technology and can vastly improve release properties and decrease cycle times, as well as extend your tool life. We formulate our patented and proprietary coatings to work with a variety of plastic materials and blends, including, but not limited to: CPET, APET, polypropylene, PETE, polystyrene, and HDPE. 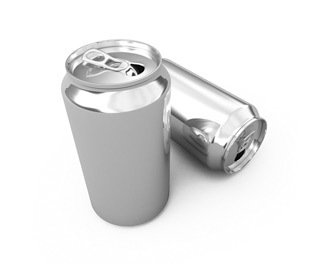 Endura 334GR: Smooth, highly uniform, gray fluoropolymer coating used in beverage packaging conveying applications to add enhanced surface lubricity and general wear properties. This coating has works well on transfer plates, peel plates, and guide rail components. Endura 348: A proprietary multi-coat polymer coating system used across a wide range of applications. This coating affords exceptional release characteristics and has been used successfully in everything from packaging seal bars to heat seal dies. This coating is a great choice for polypropylenes and polystyrene materials. Endura 360G: A green fluoropolymer coating system is engineered to provide enhanced non-stick surface properties, high release rates and extremely low surface energies. This coating works extremely well on syntactic foam plug assists facilitating the forming of CPET on food tray mold cavities. We also use this coating on curling screws in the manufacturing of paper cups. It aids in the formation of their lipped surfaces.